“All questions in personal finance boil down to your living standard. Your decision about when and how to take Social Security can affect your living standard throughout your retirement. 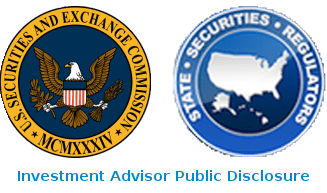 The Stout Bowman financial advisors are subscribers to Dr. Kotlikoff's online analysis program Maximize My Social Security. 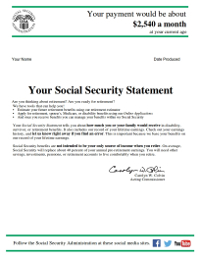 Using this tool, we can determine the best strategy for you to use when claiming your Social Security benefits. You might also want to check out our blog entry on the effects of the recent changes in Social Security claiming rules. In general, starting your benefits as late as you are financially able is the best strategy; your monthly benefit is reduced by taking it before your full retirement age, as defined by the Social Security Adminstration, and increased by as much as 8% for every year you wait past your full retirement age, up to age 70, when your benefit reaches its maximum amount. One reason that we use Dr. Kotlikoff's Social Security maximization program is that when calculating the dollar value of various claiming strategies, it takes into account the impact on your retirement assets of delayed claiming by including your expectations of future inflation and return on assets. We can also incorporate the claiming strategy recommended by the tool into your financial plan to further refine the accuracy of the plan's projections and also the data on which you base your benefit claiming decision. Beware of other online tools that claim to calculate the strategy that produces the most dollars in income but ignores the effect of higher withdrawals from your retirement assets while you're waiting to claim your benefits. If you are looking into your Social Security benefits, then you are probably also considering your Medicare benefits. Be sure to check out our Medicare Pitfalls page for a discussion of some of the problems you might encounter in making that decision. You may be aware that the Bipartisan Budget Act of 2015 did away with a claiming technique that allowed spouses to claim spousal benefits while waiting to claim their own benefits, allowing their own benefits to therefore increase at around 8% per year. However, you probably don't know that this change did not apply to survivor benefits. In fact, a study by the Social Security Administration's Inspector General found that perhaps as many as 82% of survivor benefit claimants would have received a higher monthly benefit if they had waited until age 70 to apply for their retirement benefit. The report suggested that SS personnel did not advise the claimants of their ability to receive the higher benefit amount. You can read more about this in an article on the Investment News website.